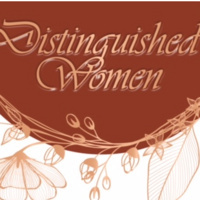 Northwood University's annual Distinguished Women Awards honor women from across the country who have made a difference in their businesses and community in education, non-profit foundations, the corporate inclusion of diversity, travel hospitality and the arts that inspire all generations! Students will have the unique opportunity to engage in one-on-one discussions with exceptional female business leaders. This gives students the chance to gain inside knowledge on industry experience and personal successes of the Distinguished Women.